The University of Newcastle (UON) is honoured to announce the establishment of a groundbreaking scholarship program, made possible by the very generous philanthropic support of Alibaba founder and executive chairman, Mr Jack Ma, through the Jack Ma Foundation. The Jack Ma Foundation will give US$20 million (AU$26.4 million) to fund a first of its kind scholarship program at UON. Marking the largest philanthropic commitment in UON’s history, and the Jack Ma Foundation’s first philanthropic contribution in Australia, the new scholarship program will pay tribute to Mr Ma’s close personal connection to Newcastle. 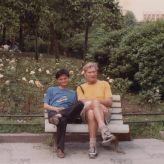 When Mr Ma was a teenager, he met Novocastrian Mr Ken Morley, while Mr Morley and his family were on a tour with the Australia-China Friendship Society in Mr Ma’s hometown, Hangzhou, China. Mr Morley went on to become a highly influential figure in his life, instilling core values and a global perspective that positively impacted Mr Ma’s future and contributed to his personal success. Mr Ma and Mr Morley remained close friends until Mr Morley’s death in 2004. Today Mr Ma was joined by the NSW Premier the Hon. Gladys Berejiklian MP, UON Chancellor, Mr Paul Jeans, UON Vice-Chancellor, Professor Caroline McMillen, and Mr Morley’s son, David Morley, to announce the scholarship program in Newcastle. UON Vice-Chancellor, Professor Caroline McMillen, said The Ma & Morley Scholarship Program at UON would have a transformational impact on the lives of students and shape the next generation of leaders. “Through this remarkable friendship spanning decades, a new generation of talented students will have the opportunity to reach their full personal and professional potential,” Professor McMillen said. Unique to the Australian higher education sector, The Ma & Morley Scholarship Program will help establish a long-lasting community of scholars and provide them with a comprehensive engagement and enrichment program to develop key networks and friendships, as well as experience important practical training to equip them for leadership in the global environment. “This scholarship program will exemplify the shared values between Mr Ma and Mr Morley, and aims to develop the next generation of globally aware and socially conscious Australian leaders,” Professor McMillen said. Students will be selected based on their interest and commitment towards cross-cultural understanding, cooperation and peace; social justice and equity; fairness and ethics in entrepreneurship and industrial relations; and sustainable development, including environment, conservation and renewable energy. Reflecting UON’s commitment to providing excellence and equitable access to education for anybody with ability and determination, the scholarship program will also focus on supporting students from disadvantaged and Aboriginal and Torres Strait Islander backgrounds. “I am particularly delighted that this program will enable students from disadvantaged backgrounds to access educational, professional and cultural experiences that might otherwise be out of reach, and that it will support the development of a new cohort of Indigenous leaders.” Professor McMillen said. In its initial year, The Ma & Morley Scholarship Program will support 30 new UON scholarships, 20 scholarships to support students throughout the duration of their degree, including access to a unique and comprehensive engagement and enrichment program, and 10 one-off scholarships to support educational exchange, internship or immersion activities. When the program reaches full capacity, it will support 90 students per year. David Morley, who still lives in Newcastle, said the family were really happy to see Jack remember his Newcastle connection and to be honouring their dad’s egalitarian values through this generous scholarship program. “Dad would be extremely proud of Jack’s commitment to making a difference to students in our hometown, and so touched that their close friendship has led to this program, which will transform the futures of hundreds of University of Newcastle students, to hopefully do good things in the world,” David Morley said. The first round of The Ma & Morley Scholarship Program will be advertised in mid-2017 for students commencing their first year of an undergraduate degree at UON in 2018.